There was a time when the winner of the Champagne Stakes at Belmont Park was considered the early favorite for the Kentucky Derby. That was a long time ago, back when two year old’s were tested best against best in preparation for the coming triple-crown series. In fact, we have to look all the way back to 1992 when Sea Hero came driving through the stretch at Churchill to best 18 others, albeit at the modest odds of 14-1, to find the last dual winner of the Champagne Stakes and Kentucky Derby. 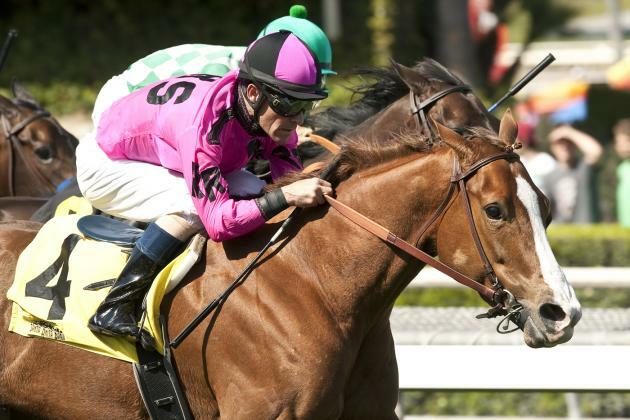 To show just how far things have changed, Firing Line punched his ticket to the Kentucky Derby last Sunday with an effortless yet emphatic 14-length romp in the Sunland Derby, in New Mexico. And to be fair, this was to be expected given the level of competition he faced that day despite the chance at the winners’ share of $800,000.00. The lead up to the Triple Crown, and especially to the derby doesn’t have the same allure that it once did. We have a multitude (I’m not going to look up the exact number) of graded stakes races on the ‘road to the triple-crown’ that will make a few millionaires along the way but accomplish very little in defining greatness. Easy Goer won the Champagne Stakes in 1988 and recorded the fastest Beyer figure ever for a two-year old in the process. Seattle Slew was undefeated heading into the Derby and it meant something; he’d won the Champagne. But last years’ winner, Daredevil, followed up his victory in the Champagne with an 11th place finish in the Breeder’s Cup Juvenile and may be on the outside looking in on May 2nd. And as for Firing Line who jogged home under a hand ride at Sunland Park last weekend? He hadn’t even begun racing at the time of last fall’s running of the Champagne.